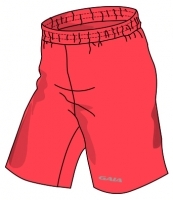 GAIA's most popular team shorts. Athletic Fit - relaxed cut, increased mobility. Chafe-free seams allow for freedom of movement. This Product was added to our catalogue on Tuesday, 10. September 2013.